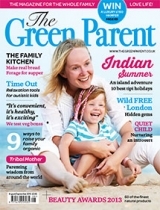 Hi folks, just a quick shout out for anyone who wanted to see my latest article for families with older kids in print - the issue of The Green Parent Magazine containing my article on Inspiring Teenagers is only available for a few more days (stocked in W.H.Smiths, Sainsbury's etc...) since the next edition is out soon. Also, let me know what you think about the Amazon link. If anyone makes a purchase from Amazon after clicking on the icon on my blog then Amazon will give me a small percentage of the sale in Amazon vouchers. My friend has added them to her blog and I find the content of the scrolling advert on her site really useful as it is items on sale in the topic areas she blogs about, so very relevant to me too. I think I will go for the same thing as it adds a bit of interest and movement and may help fund my extravagant lifestyle (ha ha ha ha ha - my last sponsorship went on two pairs of Gruffalo wellies and four pairs of kids pajamas).